This is a easy 8Pixel*8pixel DIY digital led matrix unit,designing with slide fastener, they locate at four edge of led martrix. You can pull the edge'slide fastener to enlarge led matrix at four direction. 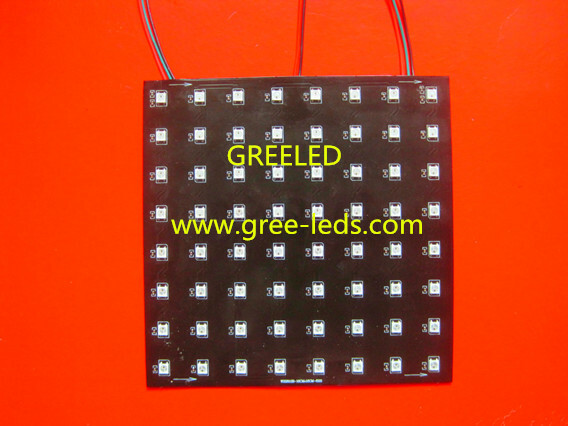 Example: you can use 2pcs led matrix unit to make a 8pixel*16 pixel led matrix. 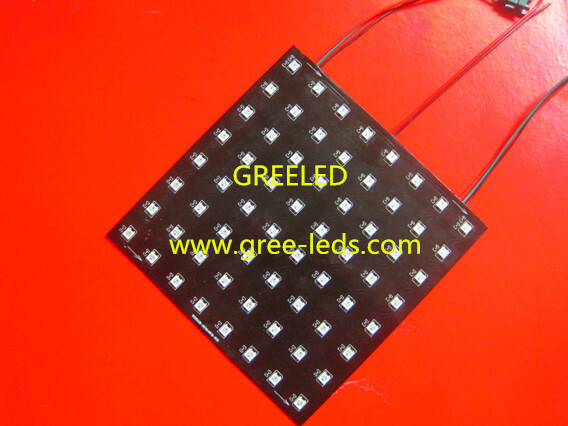 or use 4pcs led matrix unit make a 8pixel*32pixel or 16pixel*16pixel led matrix. and stick gelatin sponge at the back of units, you only need peel it to stick anywhere.